Try Apple Cider Vinegar for your chickens. Farmers have given Apple Cider Vinegar as a natural health tonic to chickens for years. While this advice is anecdotal rather than based on scientific studies, farmers say that it supports the immune system, helps remove mucous, improves egg production, aids digestion and makes it a less friendly environment for pathogens. You may also find it beneficial to add garlic to the water as well. We would love to hear if you are looking after chickens and this works for you. 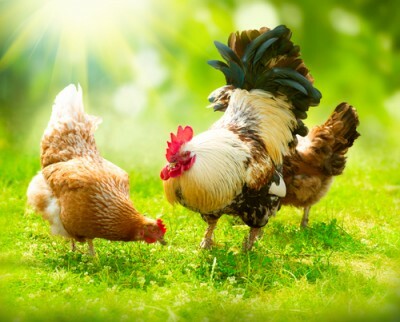 One out of four weeks feed your chickens with 20ml of DYC Apple Cider Vinegar per litre of water. For chicks use 5ml per litre of water. Only use a plastic container for the water to prevent corrosion.